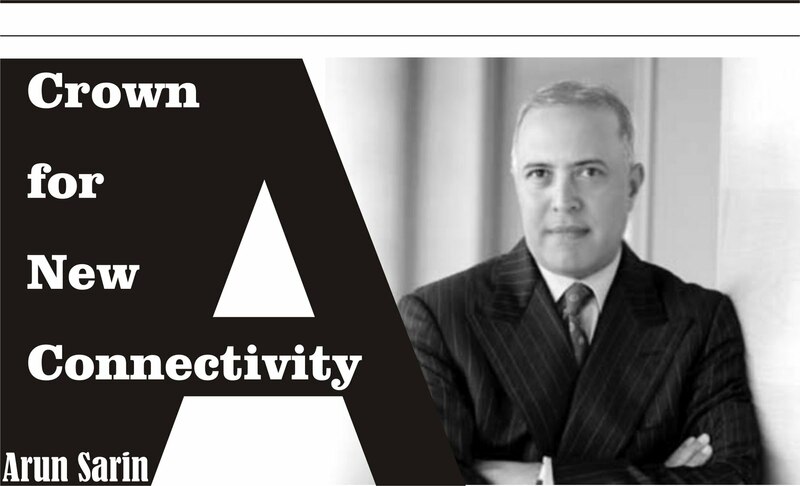 Arun Sarin is the chief executive officer of mobile phone giant Vodafone Group Plc, one of the most powerful businessmen in the world. Vodafone, the United Kingdom -based, world’s leading international mobile communications company, has fully arrived in India. Vodafone brand is already launched in India from 21st September 07. In London, the Vodafone board gave the opportunity to Arun Sarin, to negotiate the deal to buy Hutch. He has been mandated by the company’s board of directors to pursue a cash offer for India’s fourth-largest mobile firm Hutchison Essar, He is originally from India, presently based in the United Kingdom, and also has United States citizenship. Arun Sarin was born in October 21, 1954, in Pachmarhi, Madhya Pradesh, India. He did his schooling from Military School in Bangalore. He excelled in studies, sports and co curricular activities. He was known for his sharp intelligence and good sporting skills. Sarin’s father and uncles joined the Indian military. He wanted to follow his father’s footsteps into the military by pursuing a career as a pilot, but his mother, a powerful influence on the young Arun, thought that business would be a better bet, so he graduated from the Indian Institute of Technology, Kharagpur with a B.Tech. degree in Metallurgical Engineering in 1975. In 1978 he gained a MS in Engineering and a MBA from the Haas School of Business at the University of California, Berkeley. After MBA, Arun Sarin became a management consultant. But in the late 1980s he joined a company called Pacific Telesis, a telecommunications group that eventually de-merged its mobile arm, AirTouch, in 1993. AirTouch and Vodafone competed for countless mobile licences in the US, and Sarin, who was president at the US firm, was seen as a smart, dangerous opponent. Sarin knew that AirTouch would eventually be a target for Vodafone, which was now led by Gent. When Gent struck a merger deal with AirTouch in 1998, it was Sarin who helped to cement it. Arun was appointed as Senior Vice President Corporate Strategy and Development, he then became President and CEO of AirTouch Communications and was a key negotiator in the successful acquisition of AirTouch by Vodafone Group Plc. After that Sarin became head of Vodafone’s American operations. In July 30th 2003 Arun became the Chief Executive Officer of Vodafone Group Plc. Vodafone, completed the acquisition of Hutchison Essar in May 2007 and the company was formally renamed Vodafone Essar in July 2007. The popular and endearing brand, Hutch, was renamed as Vodafone across India. This marks a significant chapter in the evolution of Vodafone as a dynamic and ever-growing brand. The acquisition of Hong Kong-based Hutchison’s Indian operations by Vodafone was pitted to be the biggest foreign direct investment in India. 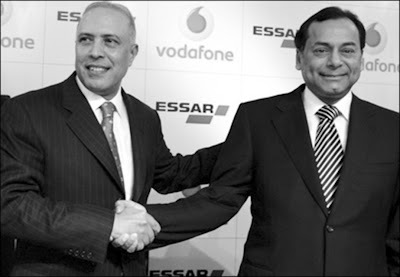 The Hutch-Essar takeover was announced in February 07. Previously, the deal was challenged in the court as the purchase of a majority of shares, the FDI of Hutch by Vodafone, crossed 89.03 per cent, it was beyond the prescribed limit of 74 per cent. Later on Vodafone cleared its hurdle. At the climax stage of this mega deal, the emphasis was on three key elements performance, valuation and bidding. “The transition of Hutch into vodafone has probably been the largest brand change ever undertaken in this country. It is even larger than vodafone’s own previous brand transitions. Over the years, Vodafone Essar, under the Hutch brand, has been named the ‘Most Respected Telecom Company’, and the ‘Best Mobile Service in the country’. Vodafone Essar operations in 16 circles is now covering 86 percent of India’s mobile customer base, with over 34.1 million customers. Sarin has spent almost his entire working life in the Tele Communications Industry. He built an enviable professional record by combining various talents and skills; his technical knowledge, his business strategy, and his financial acumen were all legendary. At times, his ascension into top-management positions appeared almost meteoric. His superiors and the industry analysts described him as a man full of determination and drive. Arun Sarin is married to Rummi Anand and has two children.